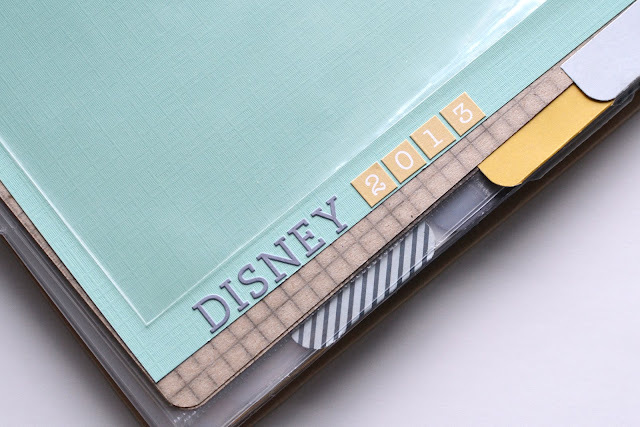 We have a trip to Disney coming up soon, and I thought it might be fun to do a little scrapbooking while we are there. Normally when I come home from a trip to Disney, I have hundreds if not over a thousand photos to sort through, edit, post, print, and scrapbook. 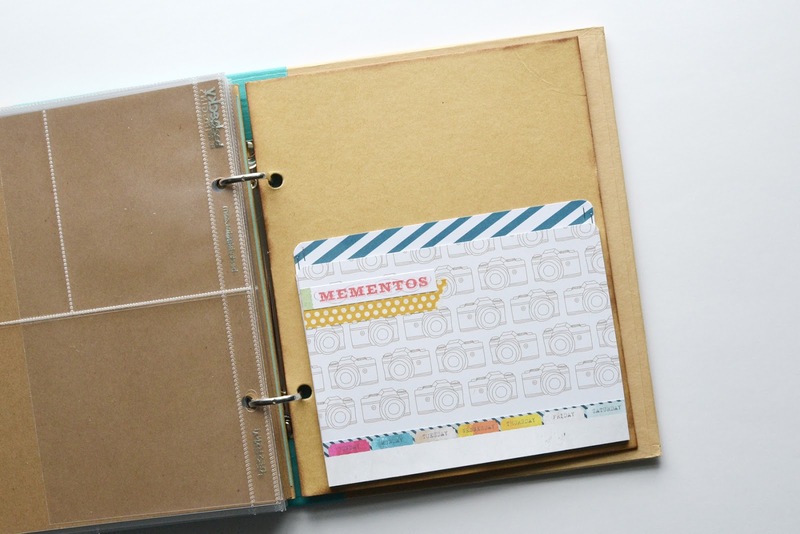 This time I thought I could take along an album and some sticky notes and mark down at the end of each day which photo number on my camera I wanted to print for my album. It would save time at home after the trip, and be a little fun break for me during our vacation. Since I am taking this album on the road, I needed to prepare it. I decided to use a Simple Stories Snap Album to allow myself the ability to insert memorabilia and rearrange pages. 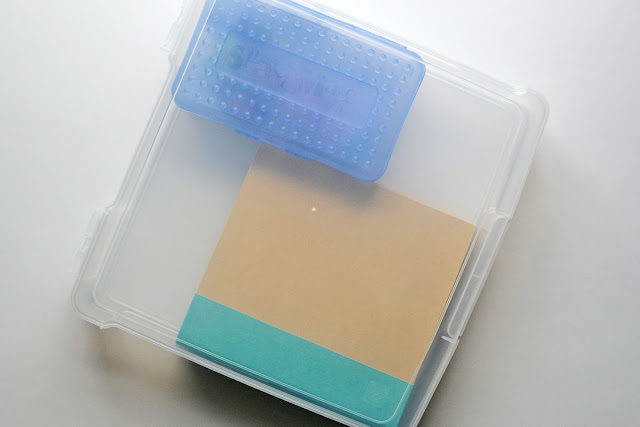 For journaling cards, I chose to use the Project Life Jade Edition. I liked the colors in Jade for a travel album. 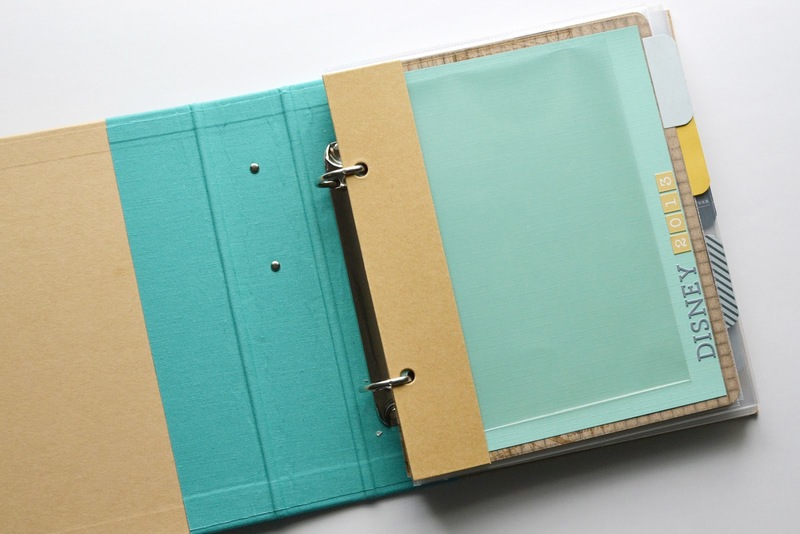 Here you can see an example of what my divider pages and tabs look like. 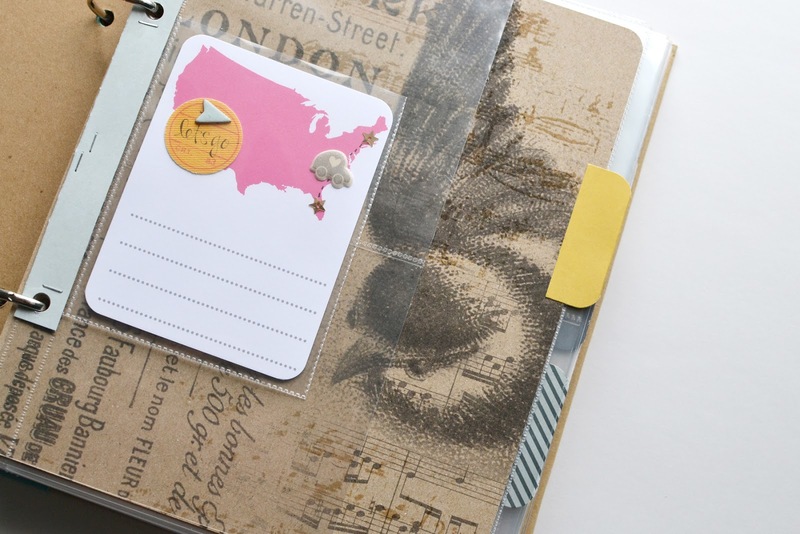 The card stock is, again, Tim Holtz, and the patterned paper for the tabs is from Glitz. I thought the paper matched the Jade Edition well. 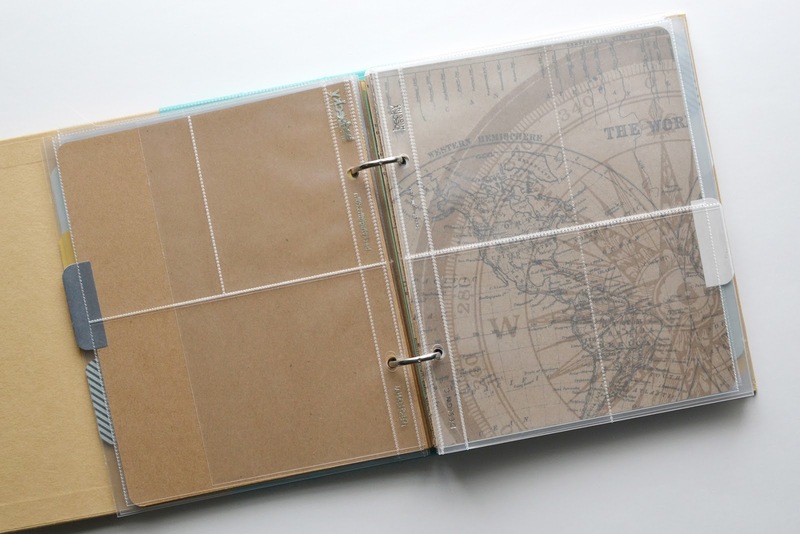 For the page protectors, I (GASP!) cut down a whole bunch of the Becky Higgins page protectors in various configurations. One thing that bothers me a little bit about the Snap protectors is that the 4x6 pocket has a bunch of extra room around the photo, because their 3x4 pockets are precisely 3x4. I would much rather trim a little bit off a card to make it slightly under 3x4 to fit Becky's pages than have extra room to fill in a 4x6 slot, but that's just my preference. Since I have hundreds of these page protectors I figured I could spare some to chop down to the size I want. In the back of the album, I did end up using one of the chipboard dividers that comes with the album, but I cut off the fancy tab that stuck out, sanded the edges, and added a pocket. The pocket was a Snap pocket that I cut down and added a journaling card from the Jade Edition along with some washi, a strip from the Glitz paper, and a little "Mementos" sticker. I'm bringing along some supplies to help me document the trip as we go. 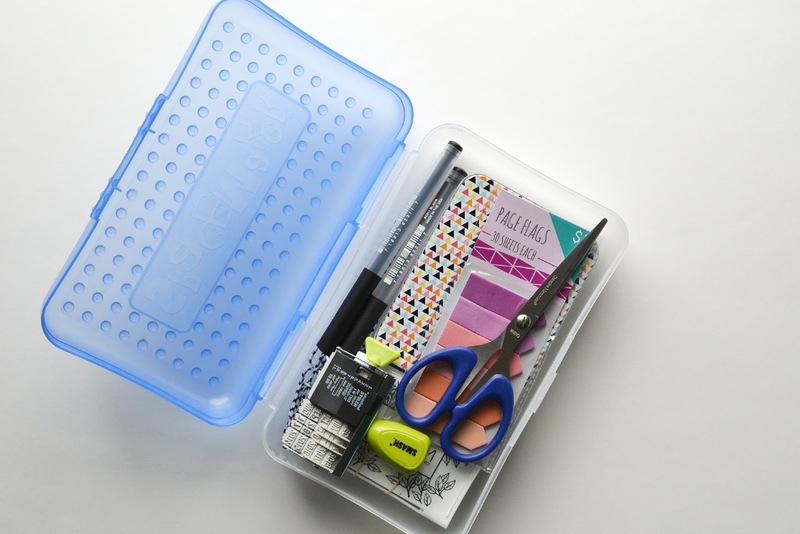 I grabbed a few necessary items and stuck them into one of those plastic pencil boxes. There's some page flags and black & white paper clips, both from the Target Dollar Spot. 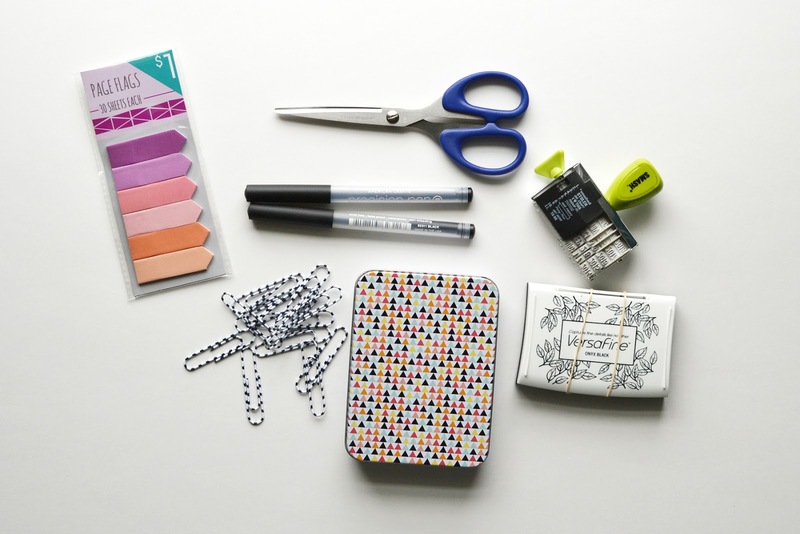 I have a pair of scissors, some American Crafts Precision Pens for journaling, a Smash date stamp and an ink pad, and a little tin that I found at Michaels in the $2-4 aisle that is the perfect size to hold 3x4 journaling cards. I pulled out many more cards than I thought I would need, along with some bifold cards and some filler cards. I can always add a page flag if there's a spot I can't fill with what I've brought. That's an Iris 12x12 case. 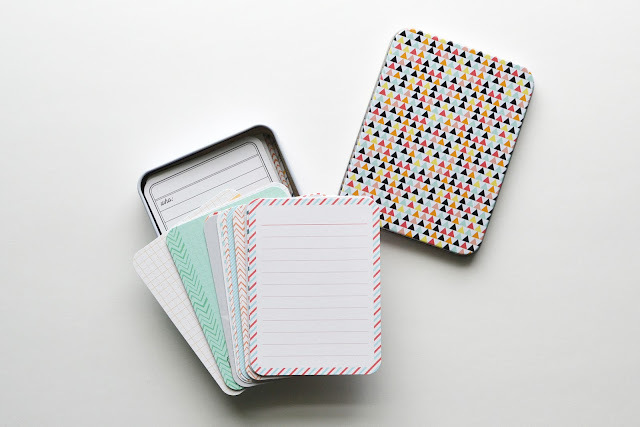 These are almost always on sale at Michaels, so you can get them pretty cheap and they hold a lot. I have about a dozen of them. My plan is to look at my photos each day, pick out my favorites, and write down the photo number and stick a little flag in whatever pocket I want to put it in. Then it'll be super easy when I get home to edit those photos first and get them into my book. There you have it! I can't wait for our trip! I'll share my completed album after it is put together. Have you ever scrapped a trip while on the road? I'd love for you to link to your own post if you have one! Oh my gosh! I LOVE! The hubby and I are planning a trip to Ireland and this would be PERFECT! Thanks for the play-by-play so we can see how you put it all together. I'm TOO excited now. :) And super excited to see how yours turns out. It will be so much fun!! Hope you have a great trip!! Love your made ahead book and looking forward to seeing the end product. Wow, you are so organized. This is a fantastic idea! I will have to try this on our next trip...anywhere. Have a great time! GREAT idea, SUPER organization!! Love this! Oh My Goodness...we just came back from a four week vacation and I did pretty much the same thing. I didn't have a lot of free time while we were out but it did help me keep things organized.